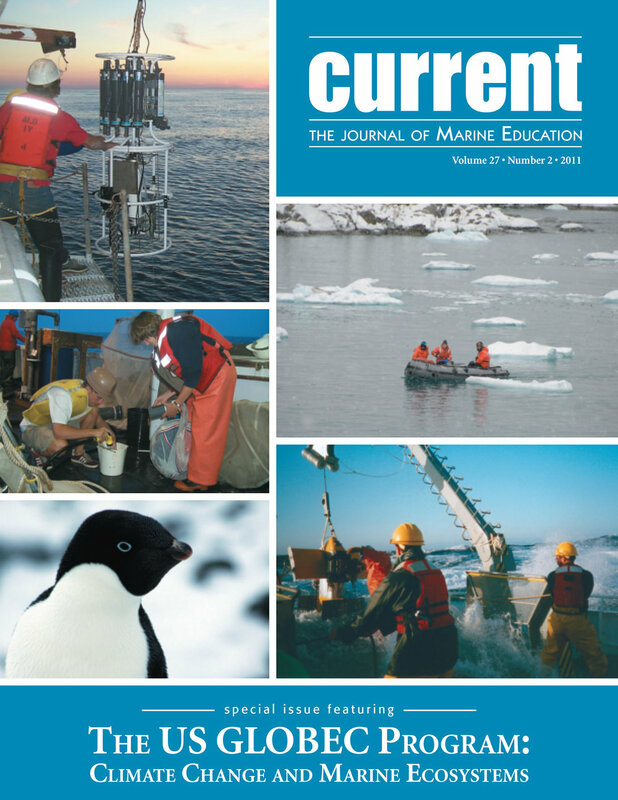 Current: The Journal of Marine Education is the peer-reviewed journal of the National Marine Educators Association. It features lively, in-depth articles and activities relating to all aspects of the world of water. Published up to four times a year, Current—a benefit of your membership with NMEA—explores the latest in marine and aquatic education research, ocean literacy, classroom and free-choice learning activities, marine science, art, maritime history and literature. Current will consider articles on any marine subject. If you are interested in submitting an article for publication, please see our Guide for Contributors for more information. Only active members of NMEA can access the most recent issues of Current. To join or renew your membership, please click here. Immerse yourself in the vibrant community of NMEA and stay “current” with the ever-expanding world of marine and aquatic education. The journal has appeared in a variety of formats since its beginning in 1976 and is now moving into the digital realm. A full index of past Current issues through 2012 is available here for download. 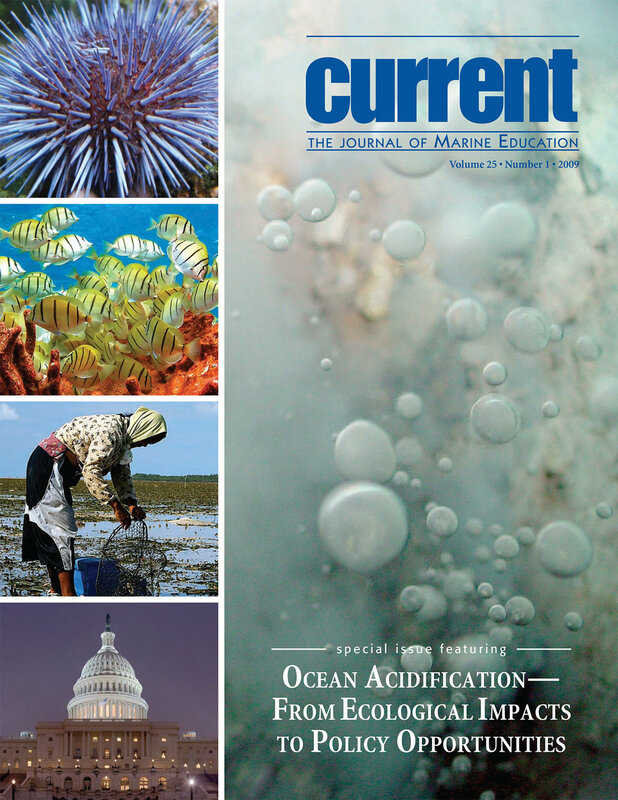 Current occasionally publishes theme issues sponsored and funded by other organizations on topics relevant to marine education. Past themes have included ocean literacy, climate change, ocean acidification, and polar seas, among others. If your organization would like to sponsor a theme issue of Current, please and contact the editor at current@natlmarineed.org. 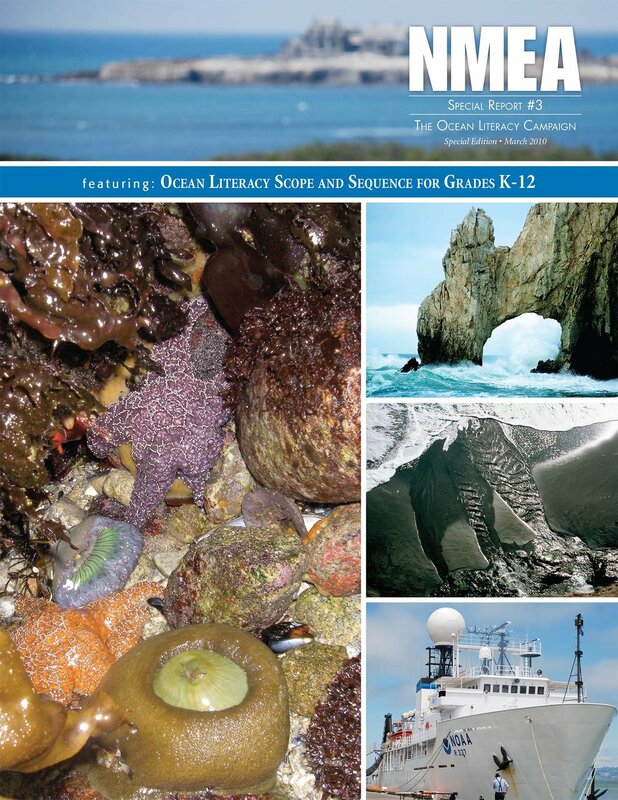 The NMEA Special Edition, the Ocean Literacy Campaign Special Report #3, features the work of dozens of agencies and hundreds of individuals to bring ocean sciences into the mainstream of both formal and informal education. and includes the Ocean Literacy Scope and Sequence for Grades K-12 in the form of 28 conceptual flow diagrams, as well as resources that we hope will be informative as you begin to use the Scope and Sequence. The articles in this issue provide an overview of US GLOBEC, describe the four regional studies undertaken in the program and some of their results, and discuss three topics critical to the overall effort: new sampling technologies, modeling approaches, and data management. We hope this information will provide not only glimpses of the potential effects of climate change on our marine systems, but also insight into how science can address such a complex and important issue. This issue of Current highlights ocean acidification, a term used to describe the ongoing global scale changes in seawater chemistry caused largely by human combustion of fossil fuels. The articles in this special issue focus on multiple facets of ocean acidification, including threats to marine organisms, economic implications for fisheries and ecosystem services, and policy options for mitigating negative impacts. Current: The Journal of Marine Education is the only professional, peer-reviewed digital and printed journal for marine educators at all levels. Promote your organization’s products, programs, books, new media, and other resources by advertising in Current, the journal of the Marine Education. Share your group’s message with a targeted, niche audience of marine educators across the country and overseas. To learn more about advertising in Current, please contact our editor at current@natlmarineed.org for more details.